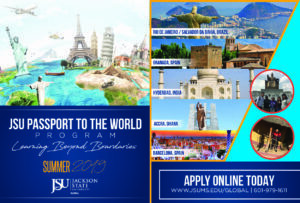 Are you ready to "Learn Beyond Boundaries" with "JSU Passport to the World (PTTW)"? If so, please complete these application steps to reserve your place and get ready for the journey of a lifetime! 2) Check with your academic advisor to ensure the PTTW courses you are interested in will allow you to earn academic credits. 3) Check with a financial aid advisor to see if you have financial aid available for the summer term. 4) Receive confirmation from "JSU Global – Study Abroad Office" that you have been accepted on the program. 5) Pay your non-refundable deposit to the JSU Business Office to secure your space in the program. 6) Submit the "JSU PTTW Program – Letter of Agreement". 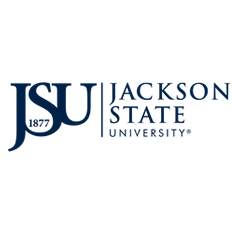 7) Submit the "JSU PTTW Program – Academic Credit Approval Form". 8) Pay the remainder of the JSU PTTW program fees to the JSU Business Office. If you have any questions, please contact the Study Abroad Coordinator.